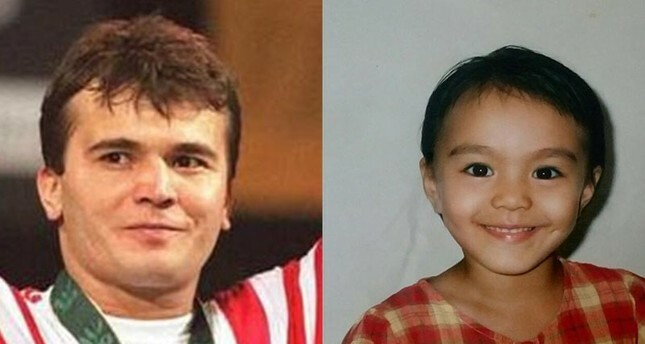 A paternity test of the late world record-holding Turkish national weightlifter Naim Süleymanoğlu has confirmed Japanese national Sekai Mori is the daughter of "Pocket Hercules." The remains of Süleymanoğlu, who died last November and was buried in Istanbul's Edirnekapı, were exhumed in July after a paternity lawsuit was filed by his alleged daughter Mori. A sample of the weightlifting legend's DNA indicated that Mori is Süleymanoğlu's daughter, with 99.9 percent certainty. The result of the forensic medicine test means that Mori will inherit a share of Süleymanoğlu's legacy. Mori alleges that Süleymanoğlu met with her mother Kyoko Mori, a Japanese journalist, at the 1988 Seoul Olympics. According to Mori, the couple got close and the rest is history. She requested a paternity test through her lawyer and Turkish officials decided to exhume the remains of Süleymanoğlu in order to obtain tissue samples for DNA tests. The weightlifting legend has two other daughters, Esin and Sezin Süleymanoğlu, who protested the decision to exhume the body. Süleymanoğlu died at age 50 in November 2017 after he was admitted to an Istanbul hospital due to liver failure caused by cirrhosis. The athlete, nicknamed "Pocket Hercules" due to his short stature, became a global star after setting six world records, winning three Olympic gold medals and out lifting the winner of the weight class above him at the 1988 Seoul Olympic Games. After winning the world championship in 1988, he retired at the age of 22. However, he returned in 1991 to win a second Olympic gold at Barcelona in 1992. He built up one of the sport's greatest ever rivalries with Greece's Valerios Leonidis which was followed avidly by Turkish and Greek communities across the world. Trading world records with Valerios Leonidis, Süleymanoğlu eventually won his third Olympic gold medal. In 2000 and 2004 he was elected to the International Weightlifting Federation Hall of Fame. He was awarded the Olympic Order, the highest award of the Olympic movement, in 2001. Süleymanoğlu is the only weightlifter in history to win gold medals in three different Olympics.